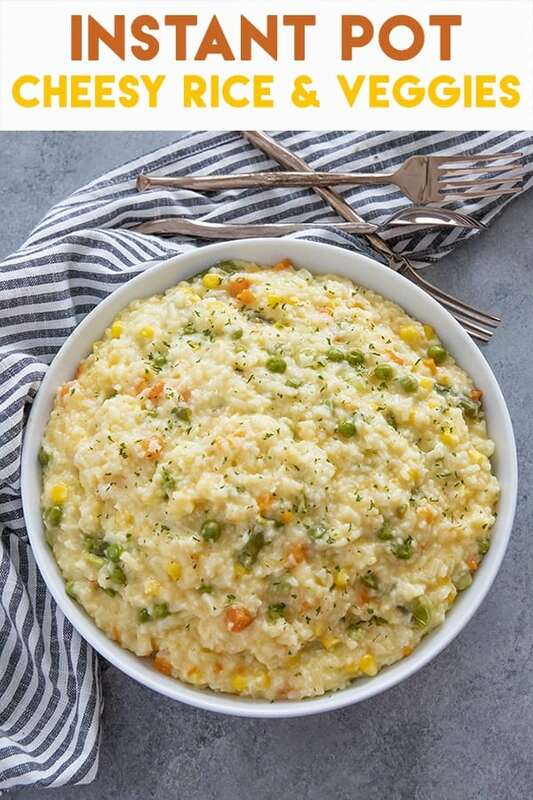 Cheesy Instant Pot Rice and Vegetables makes for a super tasty side dish recipe! 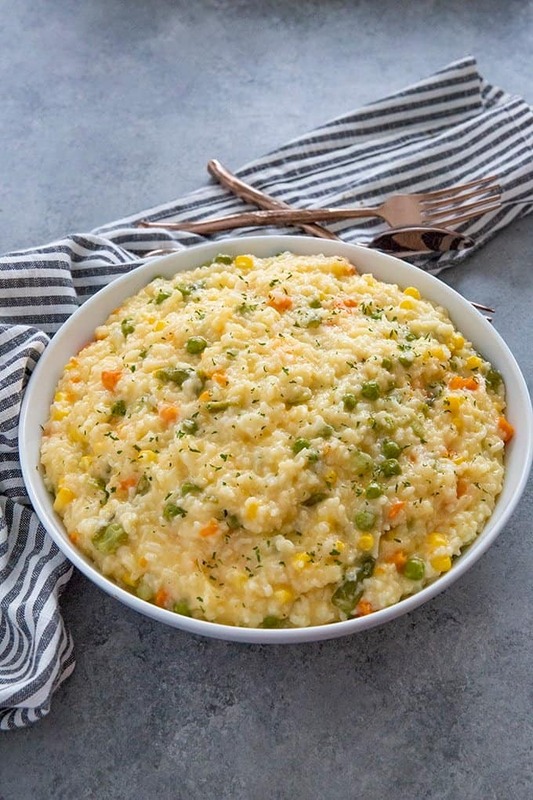 This rice recipe is a quick and simple addition to any meal! 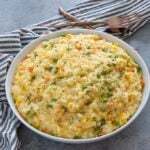 I’m really loving my Instant Pot and trying out new things like this cheesy rice with veggies! We often eat a lot of chicken around here that is oven baked, so I like being able to make a nice side to go along with it! This rice was really great with my Baked Chicken and Chicken Drumsticks. 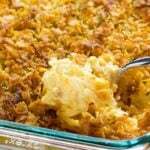 A few of my other favorite sides to make in the Instant Pot are my Mac and Cheese which I know you all love and even Mashed Potatoes! On my list to try soon are a couple of side dishes from food blogger friends like these Instant Pot Bacon Ranch Potatoes and Instant Pot Green Beans. Rice is one of those things that so many people, even great cooks have a hard time getting right. Sometimes it’s mushy, sometimes it’s crunchy when cooked on the stove. The Instant Pot takes the troubles of cooking rice away! You rinse your rice under cold water, add to the pot along with broth and seasonings, cook, and it comes out perfect every time! 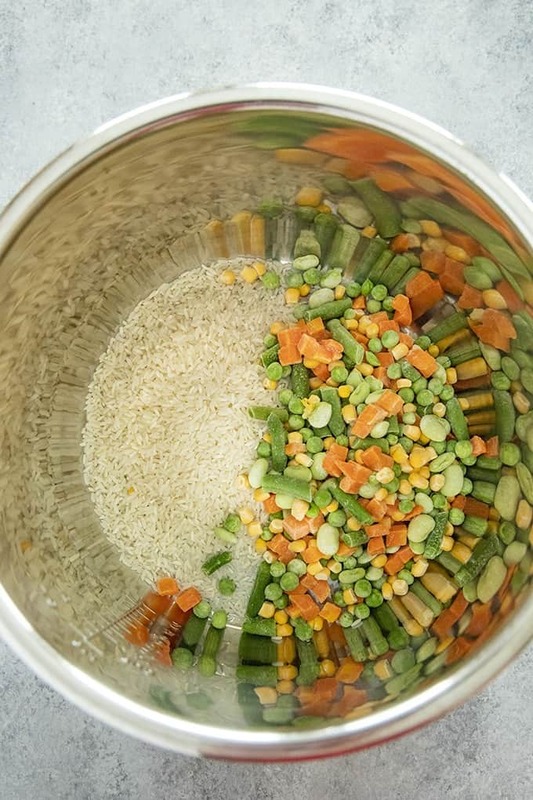 Rinsing the rice before placing in the instant pot is important to remove the starch. After it’s rinsed add it right to the bottom of the pot with the frozen mixed vegetables. Typically, most recipes for rice in the instant pot call for a 1:1 ratio of rice and water. For this recipe, we use a bit of extra liquid because of the vegetables. The next photo shows the rice and vegetables after they are finished cooking. You will notice that there is still a bit of liquid, and that is ok. It will help you incorporate the cheese so that it’s smooth. In my 6 and 8 quart Instant Pot, this took about 5 minutes to come to pressure, then 5 minutes to cook. Next, you need to allow the pot to natural pressure release for 10 minutes, then you can quick release the remaining pressure. This recipe will take about 25-30 minutes total. But, it’s completely hands-off, which I love! 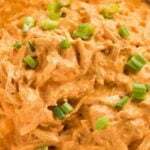 It’s best to use freshly shredded cheese for this recipe if possible! 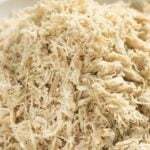 Pre-shredded will work if that’s what you have on hand, but, the rice may not have as smooth of a texture. Stir the cheese into the rice in two to three additions, stirring well after each. You do not need the instant pot on while you add the cheese. Pour the rice into a fine mesh strainer and rinse under cold water for one minute. 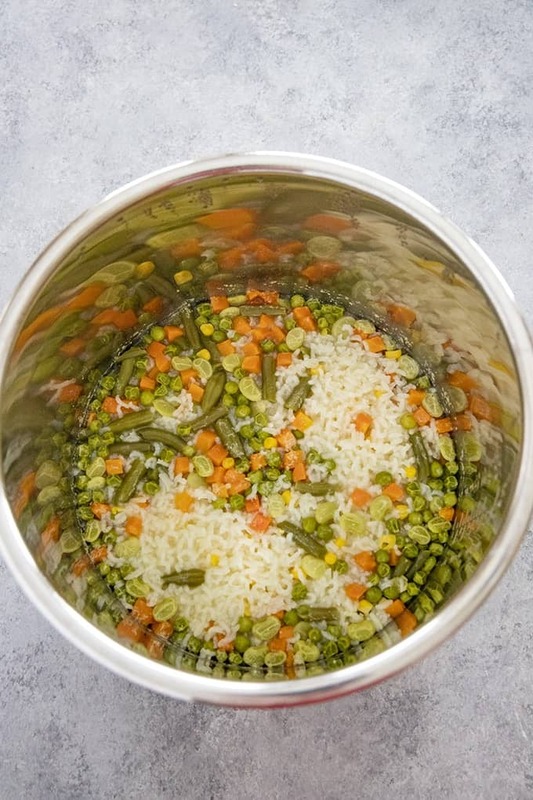 Pour the rice into the bottom of the instant pot along with the frozen vegetables. Add the seasonings, broth, and water. Cook on manual/high pressure for 5 minutes. Once the cooking time is up, allow the pot to natural pressure release for 10 minutes, then quick release the rest of the steam. Turn the instant pot off and stir in the cheese in three additions, stirring well after each addition. 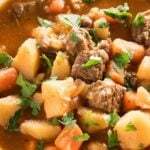 Serve immediately, or store in the refrigerator for up to 3 days for best results. Have you ever doubled this recipe? How much longer should it be cooked if double? 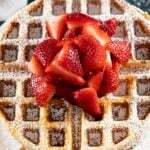 Looks like a really good and easy to make recipe. 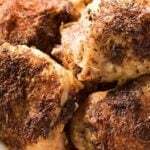 This was a great recipe, the whole family loved it! Can’t wait to make it again. So easy, and nice and cheesy. And you’re right, it goes perfectly with some seasoned baked chicken. It sort of steals the show! I love it. 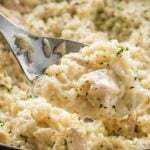 I need more quick and easy sides like this in my recipe box! Yum! I love how easy this dish is. I would probably serve it alongside a simple chicken breast. It also look like a winner for meal perp for the week. I love using my Instant Pot. 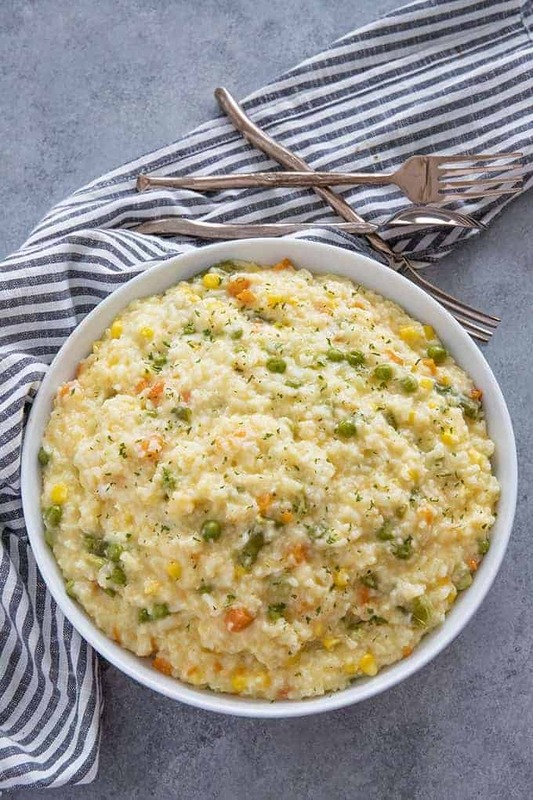 So easy to get this side dish on the table.